Fees associated with filing industrial design application in Ukraine as well as other design fees are available in the fee calculator. The deadline for filing an industrial design application claiming priority is six months from the date of priority. The restoration of this term is not possible. It is possible to request registration of several designs (multiple application) if the designs concern the same object or may be identified as a kit of goods and have a single design concept. An additional fee must be paid for each additional design included in the application. 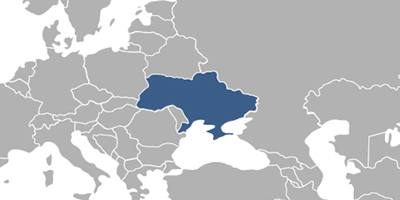 The Power of Attorney may be provided simultaneously or within two months from filing the design application in Ukraine. The legalisation or notarization is not required. For claiming priority it is necessary to provide the certified copy of the priority document within three months from filing the application. Industrial design application in Ukraine is examined according to the formal requirements only. Disclosure of the information about the industrial design within 6 months before filing the application or priority date, if it is claimed, does not disprove the novelty of the industrial design according to the Ukrainian legislation, in case the disclosure is made by the designer or person who directly or indirectly received this information from the designer. The applicant must pay the publication and issuance fees as well as the first post-grant annuities within three months from the date of receipt of the Decision to grant a patent. This term is extendable for six additional months by paying an extra fee. Validity term of design in Ukraine is ten years and may be extended upon request of the patent holder but not longer than for five years. It is required for foreigners to perform industrial design prosecution in Ukraine through an agent, a registered Ukrainian patent attorney. Online Search Databases: Ukrainian Industrial Designs, International Designs.